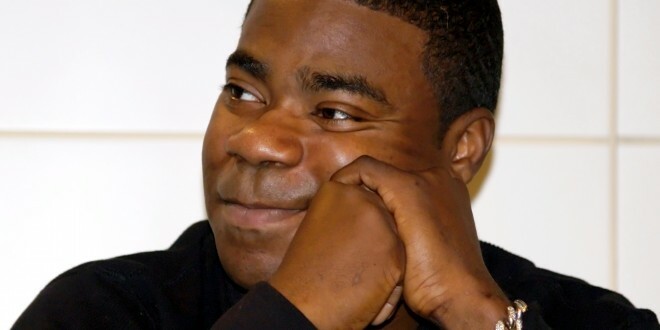 Home » Entertainment » Actor Tracy Morgan is Critical! 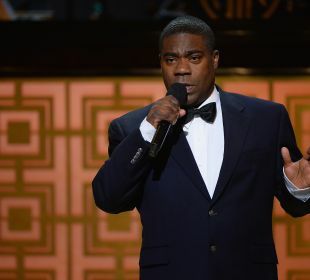 Comedy Actor Tracy Morgan is critical following a fatal car crash early Saturday morning, reports says. The 30 Rock actor, 45, was a passenger in a limo bus which was involved in a six-vehicle pile-up in Cranbury as he made his way back to his New Jersey home following a stand-up gig in Dover, Delaware on Friday night. Authorities have confirmed that Morgan’s comedy writer, James McNair, a passenger onboard the luxury vehicle, died in the accident, while three others, including the actor and his assistant Jeff Millea, are in intensive care and one person is in fair condition. A statement issued by his representative reads: “Tracy remains in critical condition at Robert Wood Johnson Hospital. He sustained these injuries in an accident that occurred early this morning as one of several passengers in a chauffeured SUV returning from a tour date in Delaware. She said that the comedian had a broken leg and was unconscious, but doctors anticipated he would recover. The mother of Morgan’s fiancée, Megan Wollover, told the Daily News that she “was devastated” when she learned of her future son-in-law’s accident, but was relieved to learn that her daughter and the couple’s 11-month-old baby, Maven, weren’t traveling on the bus with him. “I just hope he gets through this,” Christine Wollover added. Angelina Jolie to Direct Fifty Shades of Grey? Steven Tyler Act Passes - Watch out paparazzi! Previous: Batista Quits WWE Again! Wade Barrett To Attack John Cena? Marissa Mayer Is The New CEO Of Yahoo! Truck Driver Blames Lindsay Lohan For Car Crash!